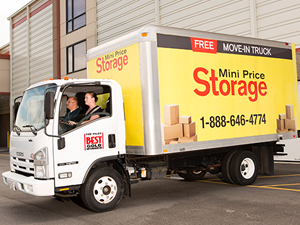 Mini Price Storage is known for award-winning customer service and state-of-the-art self storage amenities to meet all of your storage needs. As one of our customers you will experience The Mini Price Difference with access to our free move-in truck, use of our business centers, storage units that have heating and cooling, and will receive a free top quality lock for your unit. We have wide outdoor aisles to accommodate large vehicles and offer both inside and outside storage unit access. Our management team is onsite daily to assist with making your move hassle free. We have been proudly serving our friends and neighbors in the local communities of Virginia Beach, Chesapeake, Norfolk, Chesterfield County, Henrico County, and Richmond, Virginia for over 30 years. Our commitment to offering The Best for Less is done by continually taking our self storage customers’ feedback and using it to make improvements to our storage facilities and business operations. This quality shows through and our customers have thanked us by voting us The Best Storage Facility in Hampton Roads for six years in a row. 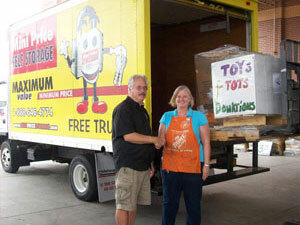 We also care about the local communities that we operate in and have a long history of community service. Most recently we have participated in the City of Virginia Beach Public Library’s Summer Reading Program, served as the Salvation Army’s Toys For Tots collection sites and warehouse toy distribution center, provided volunteers for Meals On Wheels, The Union Mission, and Habitat For Humanity, raised funds for the Leukemia and Lymphoma Society Light The Night Event, sponsored the U4/U5 soccer field of the Portsmouth Soccer Club, Bike Safety Awareness Month, Teen Bullying and Suicide Prevention Workshops, Opt Sail, Holiday Blanket Drive, and the South Hampton Roads Food Drive. We will continue to look for ways to actively contribute back to the local communities each year. 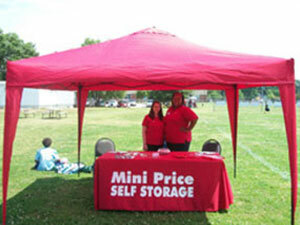 Everyone at Mini Price Storage takes great pride in offer the best self storage solutions to meet your needs. We have planted deep roots in the community and look forward to serving you and all of our neighbors in the years to come. Please do not hesitate to contact us with your comments, questions, and feedback. We are glad to help! Please see our blog for our latest company updates.